Minimum rooms Min. rooms From 0 r. From 1 r. From 2 r. From 3 r. From 4 r. From 5 r.
Maximum rooms Max. 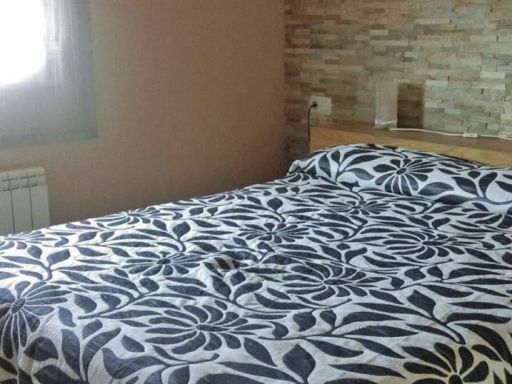 rooms To 1 r. To 2 r. To 3 r. To 4 r. To 5 r.
Surface 96 m², useful 96 m², 2 bedrooms (2 doubles), 2 bathrooms, kitchen (grande), washroom (galeria cubierta), dining room (grande), storage room, floor (Terra ... 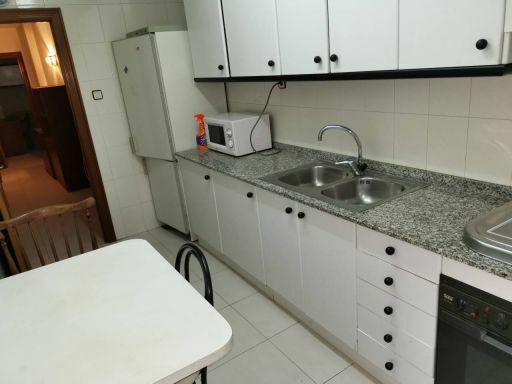 Surface 96 m², useful 96 m², 2 bedrooms (2 doubles), 2 bathrooms, kitchen (grande), washroom (galeria cubierta), dining room (grande), storage room, floor (Terrazo), garage (y trastero incluido), elevator, heating (por condutos,frio y calor), reinforced door, answering device, double glazing, year of construction (1985), exterior carpentry (aluminio), interior carpentry (Sapeli), air-conditioned (Frio y calor), exterior, sunny, State certification: Available, Power Consumption (F) , Emissions (F) , FINQUESBESORA.COM TEL. 6.0.0.3.3.6.6.3.2. 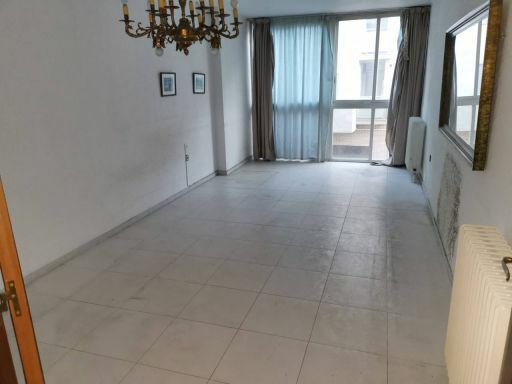 Surface 75 m², useful 75 m², 2 bedrooms (2 doubles), 1 bathroom, kitchen, washroom, dining room, floor, garden, garage, elevator, cupboards, heating, reinforced ... Surface 75 m², useful 75 m², 2 bedrooms (2 doubles), 1 bathroom, kitchen, washroom, dining room, floor, garden, garage, elevator, cupboards, heating, reinforced door, answering device, double glazing, year of construction, exterior carpentry, interior carpentry, air-conditioned, exterior, sunny, swimming pool, balcony, State certification: . 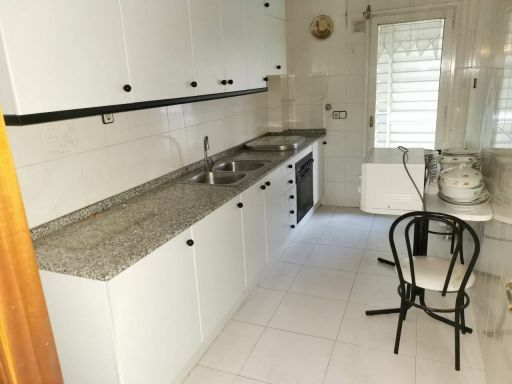 Surface 100 m², useful 100 m², 3 bedrooms (3 doubles), 2 bathrooms, kitchen (independiente con galeria), washroom (Galeria), dining room, floor (terrazo), elevat ... 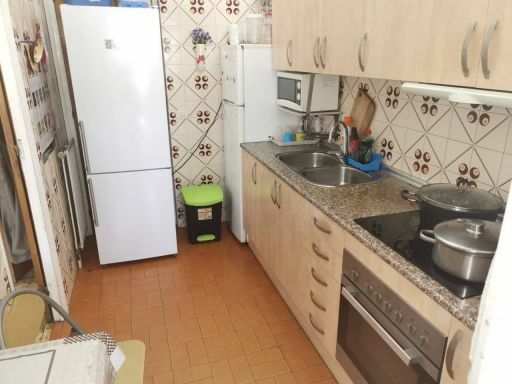 Surface 100 m², useful 100 m², 3 bedrooms (3 doubles), 2 bathrooms, kitchen (independiente con galeria), washroom (Galeria), dining room, floor (terrazo), elevator, heating (ind.gas), answering device, double glazing, year of construction (1979), exterior carpentry (madera), interior carpentry (sapeli), exterior, sunny, swimming pool (comunitaria), balcony (grande), State certification: Available, Power Consumption (F) , Emissions (F) , FINQUESBESORA.COM TEL. 6.0.0.3.3.6.6.3.2. 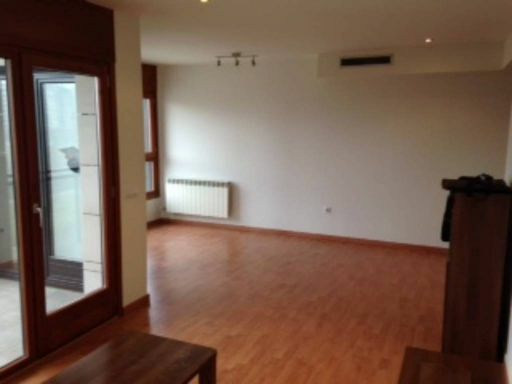 Surface 136 m², useful 136 m², 5 bedrooms ( 1 suite, 3 doubles, 1 single), 2 bathrooms, kitchen, dining room, floor (parquet y grees), elevator, heating (ind.g ... Surface 136 m², useful 136 m², 5 bedrooms ( 1 suite, 3 doubles, 1 single), 2 bathrooms, kitchen, dining room, floor (parquet y grees), elevator, heating (ind.gas), reinforced door, answering device, double glazing, year of construction (1979), exterior carpentry (aluminio), interior carpentry (Lacado en Blanco), air-conditioned, exterior, sunny, balcony, State certification: Available, Power Consumption (G) , Emissions (F) , FINQUESBESORA.COM TEL 6.0.0.3.3.6.6.3.2. 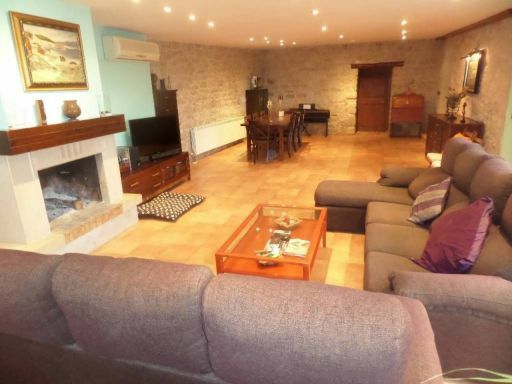 Surface 225 m², useful 225 m², 4 bedrooms ( 1 suite, 3 double), 2 bathrooms, 1 toilet, kitchen, dining room, terrace, floor, garden, garage (3 coches), heating ... Surface 225 m², useful 225 m², 4 bedrooms ( 1 suite, 3 double), 2 bathrooms, 1 toilet, kitchen, dining room, terrace, floor, garden, garage (3 coches), heating, reinforced door, double glazing, year of construction 2003, exterior carpentry (aluminio), interior carpentry (roure), sunny, State certification: Available, Power Consumption (F) , Emissions (F) , FINQUESBESORA.COM TEL 6.0.0.3.3.6.6.3.2. 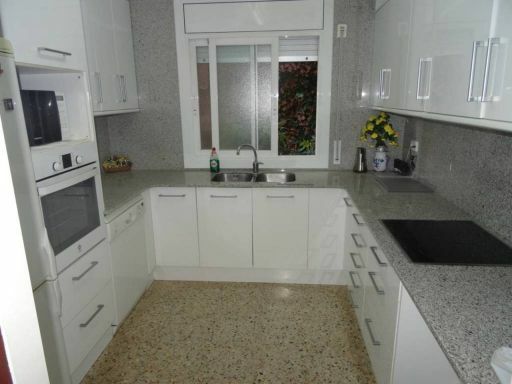 Surface 474 m², useful 474 m², 199 m² site surface, 4 bedrooms ( 1 suite, 3 double), 3 bathrooms, kitchen (grande con chimenea y salida terraza), washroom, din ... 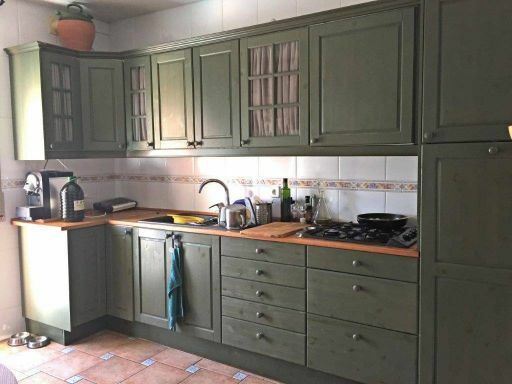 Surface 474 m², useful 474 m², 199 m² site surface, 4 bedrooms ( 1 suite, 3 double), 3 bathrooms, kitchen (grande con chimenea y salida terraza), washroom, dining room (65 m2 con chimenea), terrace (30 m2 + 30 m2), floor parquet y grees, garage (2 coches), cupboards, heating, double glazing, year of construction 1990, fireplace (1 cocina y 1 comedor), exterior carpentry (alumnjio), interior carpentry (Roure), air-conditioned, sunny, State certification: Available, Power Consumption (E) , Emissions (E) , FINQUESBESORA.COM TEL. 6.0.0.3.3.6.6.3.2.. 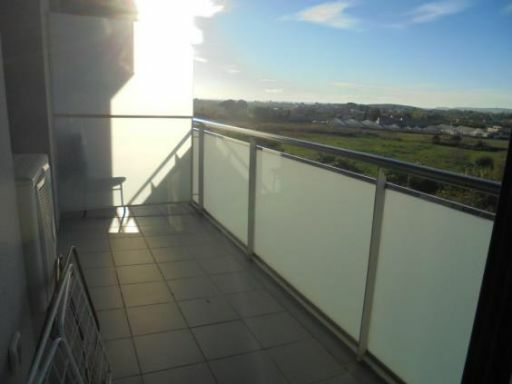 Surface 107 m², useful 107 m², 3 bedrooms ( 1 suite, 2 doubles), 2 bathrooms, kitchen (grande), dining room, storage room, floor (grees), elevator, heating (cen ... Surface 107 m², useful 107 m², 3 bedrooms ( 1 suite, 2 doubles), 2 bathrooms, kitchen (grande), dining room, storage room, floor (grees), elevator, heating (central), reinforced door, answering device, double glazing, year of construction (1997), exterior carpentry (aluminio), interior carpentry (roure), air-conditioned (frio y calor), exterior, sunny, balcony (2 balcones grandes 1º Planta), State certification: Available, Power Consumption (F) , Emissions (F) , www.FINQUESBESORA.COM TEL 6.0.0.3.3.6.6.3.2. 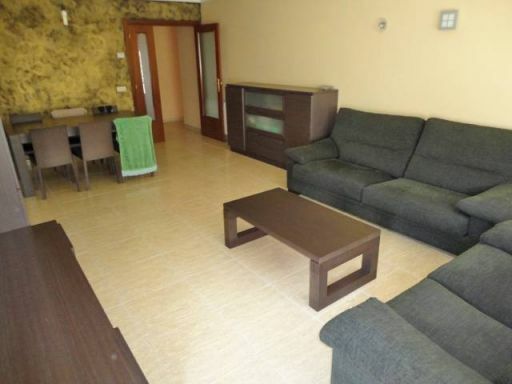 Surface 132 m², useful 120 m², 3 bedrooms (3 double), 1 bathroom, 1 toilet, kitchen (independientes vistas al jardin), washroom (galeria al lado cocina), dining ... 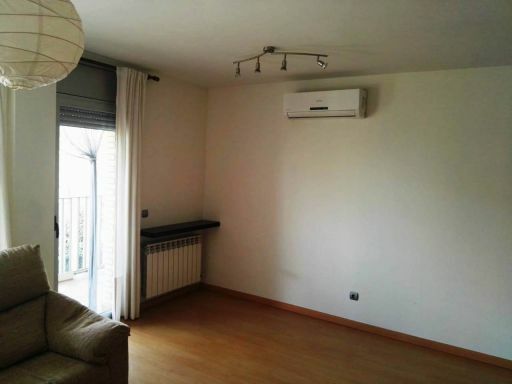 Surface 132 m², useful 120 m², 3 bedrooms (3 double), 1 bathroom, 1 toilet, kitchen (independientes vistas al jardin), washroom (galeria al lado cocina), dining room, floor grees, garden, garage (2 Coches), cupboards, heating, double glazing, year of construction 2003, fireplace (preinstalacion con salida de humos), exterior carpentry, interior carpentry, air-conditioned (preintalacion), sunny, State certification: , FINQUESBESORA.COM TEL. 6.0.0.3.3.6.6.3.2. Surface 148 m², useful 125 m², 4 bedrooms (3 doubles, 1 single), 2 bathrooms, kitchen, dining room, floor, elevator, cupboards, heating, furniture, answering de ... Surface 148 m², useful 125 m², 4 bedrooms (3 doubles, 1 single), 2 bathrooms, kitchen, dining room, floor, elevator, cupboards, heating, furniture, answering device, double glazing, year of construction, community charges, exterior carpentry, interior carpentry, air-conditioned, exterior, sunny, balcony, State certification: Available, Emissions (G) . 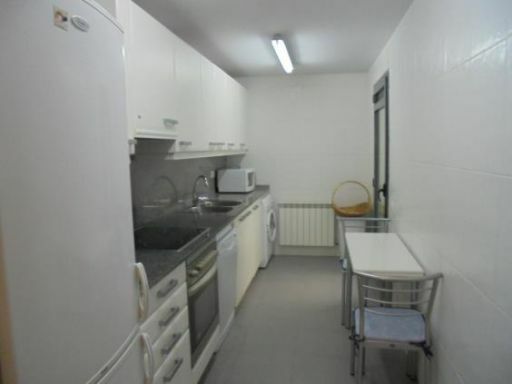 Surface 81 m², useful 75 m², 2 bedrooms (1 double, 1 single), 1 bathroom, kitchen, washroom (Galeria cerrada), dining room, terrace (cubierta 8m), storage room ... 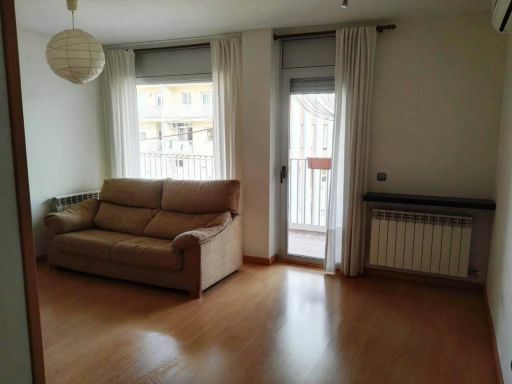 Surface 81 m², useful 75 m², 2 bedrooms (1 double, 1 single), 1 bathroom, kitchen, washroom (Galeria cerrada), dining room, terrace (cubierta 8m), storage room (incluido), floor (parquet), garage (incluido), cupboards (empotrados), heating (Indiv a gas), answering device, double glazing, year of construction (1995), exterior carpentry (Aluminio), interior carpentry (roble), air-conditioned, exterior, sunny, State certification: Available, Emissions (G) , PARKING Y TRASTERO, 1º SIN ASCENSOR, FINQUESBESORA.COM TELEF 6.0.0.3.3.6.6.3.2.. 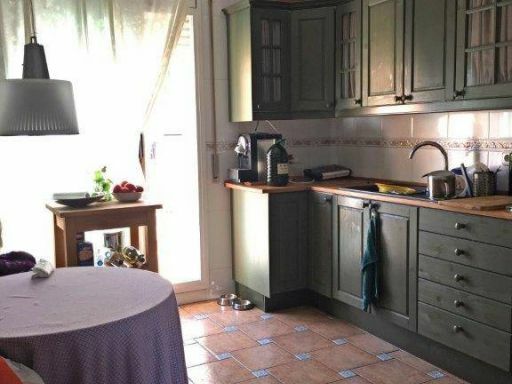 Surface 111 m², useful 100 m², 3 bedrooms ( 1 suite, 2 doubles), 2 bathrooms, kitchen (horno), washroom (galeria), dining room, terrace, floor (Parquet), elevat ... Surface 111 m², useful 100 m², 3 bedrooms ( 1 suite, 2 doubles), 2 bathrooms, kitchen (horno), washroom (galeria), dining room, terrace, floor (Parquet), elevator, heating (ind gas), answering device, double glazing, year of construction (2002), exterior carpentry (Aluminio), interior carpentry (Roble), air-conditioned, exterior, sunny, balcony, State certification: Available, Emissions (G) , FINQUESBESORA.COM, TELEF 6.0.0.3.3.6.6.3.2.. 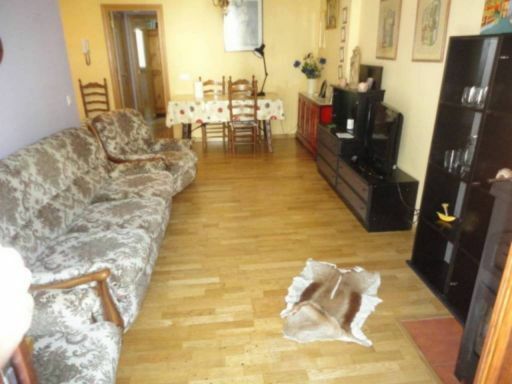 Surface 170 m², useful 170 m², 5 bedrooms ( 2 suites, 3 doubles), 2 bathrooms, 1 toilet, kitchen (office), washroom, dining room, storage room, floor (parquet) ... Surface 170 m², useful 170 m², 5 bedrooms ( 2 suites, 3 doubles), 2 bathrooms, 1 toilet, kitchen (office), washroom, dining room, storage room, floor (parquet), garage (y Trastero incluido), elevator, cupboards, heating (ind.gas), reinforced door, answering device (videoportero), double glazing, year of construction (2005), exterior carpentry (aluminio), interior carpentry (roure), exterior, sunny, balcony (grande), State certification: Available, Emissions (E) , FINQUESBESORA.COM. 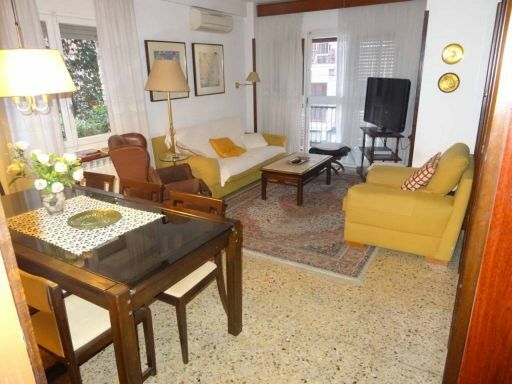 Surface 61 m², useful 61 m², 2 bedrooms (1 double, 1 single), 1 bathroom, kitchen (independiente), dining room, terrace (12 m2. 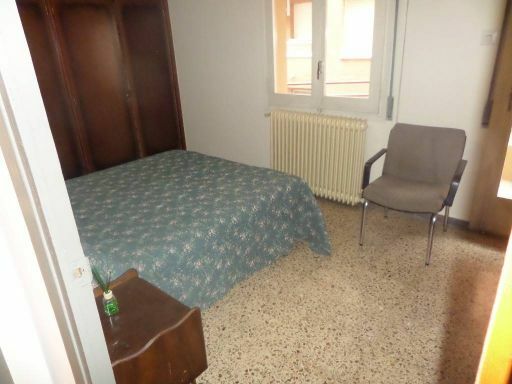 ), floor (parquet), elevator (LLe ... 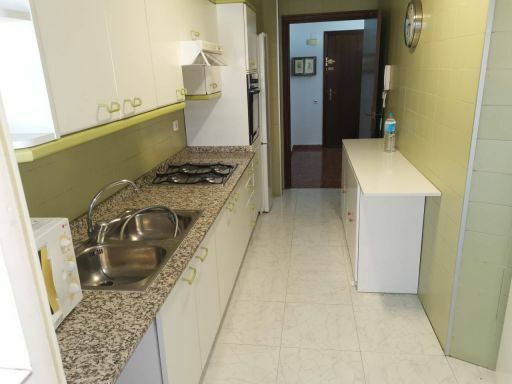 Surface 61 m², useful 61 m², 2 bedrooms (1 double, 1 single), 1 bathroom, kitchen (independiente), dining room, terrace (12 m2. ), floor (parquet), elevator (LLega a las dos planta), heating (ind.gas), reinforced door, answering device (videoportero), double glazing, year of construction (2009), exterior carpentry (aluminio), interior carpentry, exterior, sunny, balcony (no hay balco), State certification: Available, Emissions (F) , FINQUESBESORA.COM TEL. 6.0.0.3.3.6.6.3.2. 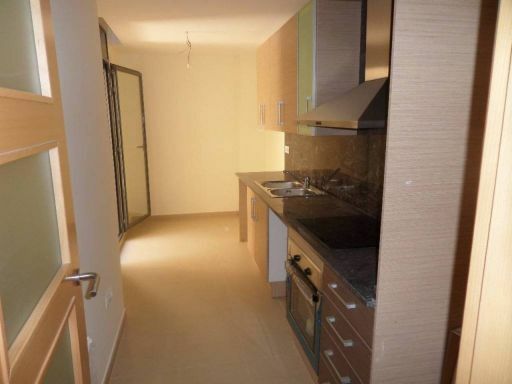 Surface 62 m², useful 62 m², 2 bedrooms (1 double, 1 single), 1 bathroom, kitchen (independiente), dining room, floor (parquet), elevator (LLega a las dos plant ... 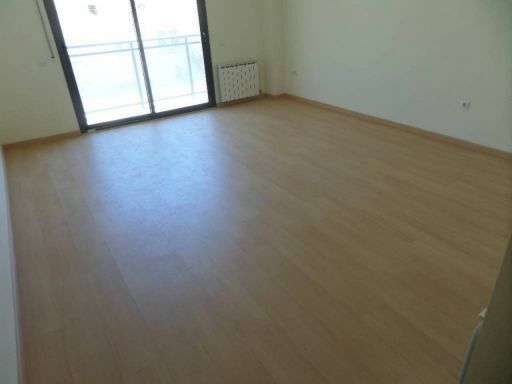 Surface 62 m², useful 62 m², 2 bedrooms (1 double, 1 single), 1 bathroom, kitchen (independiente), dining room, floor (parquet), elevator (LLega a las dos planta), heating (ind.gas), reinforced door, answering device (videoportero), double glazing, year of construction (2009), exterior carpentry (aluminio), interior carpentry (roure), exterior, sunny, balcony (no hay balco), State certification: Available, Emissions (F) , FINQUESBESORA.COM TEL. 6.0.0.3.3.6.6.3.2. 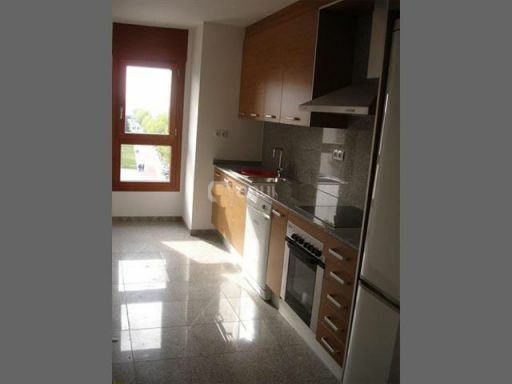 Surface 90 m², useful 90 m², 3 bedrooms (2 doubles, 1 single), 1 bathroom, kitchen (grande), washroom, dining room, floor (terrazo), elevator, cupboards (empotr ... Surface 90 m², useful 90 m², 3 bedrooms (2 doubles, 1 single), 1 bathroom, kitchen (grande), washroom, dining room, floor (terrazo), elevator, cupboards (empotrados), heating (ind. gas), year of construction (1969), exterior carpentry (aluminio), interior carpentry (madera pinada en blanco), exterior, sunny, balcony, State certification: Available, Emissions (G) , FIQUESBESORA.COM TEL. 6.0.0.3.3.6.6.3.2. Surface 110 m², useful 110 m², 4 bedrooms (3 doubles, 1 single), 1 bathroom, 1 toilet, kitchen (reformada), washroom (galeria y despensa), dining room, terrace ... 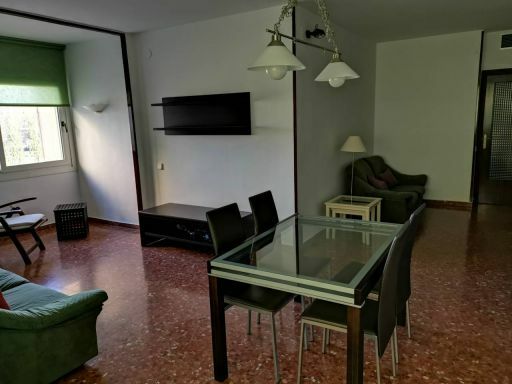 Surface 110 m², useful 110 m², 4 bedrooms (3 doubles, 1 single), 1 bathroom, 1 toilet, kitchen (reformada), washroom (galeria y despensa), dining room, terrace (25 m2), floor (terrazo), garage (2 PLAZAS incluidas), elevator, cupboards (empotrados 2), heating (ind.gas. ), reinforced door, answering device, year of construction (1997), exterior carpentry (madera), interior carpentry (sapeli), air-conditioned (2), exterior, sunny, balcony (2), State certification: Available, Emissions (G) , FINQUES BESORA.COM. 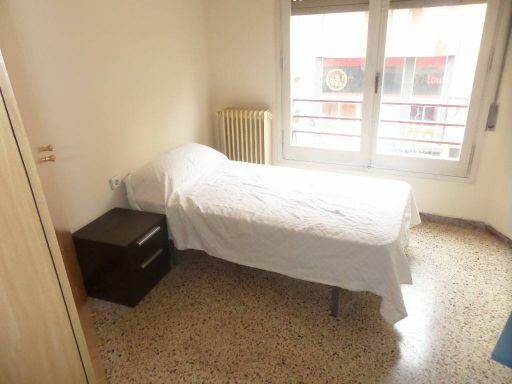 Surface 70 m², useful 70 m², 2 bedrooms (1 double, 1 single), 2 bathrooms, kitchen, washroom (galeria), dining room, terrace (15 m2,), floor (parquet y gres), e ... 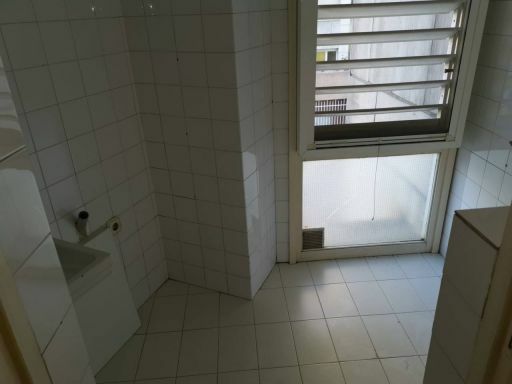 Surface 70 m², useful 70 m², 2 bedrooms (1 double, 1 single), 2 bathrooms, kitchen, washroom (galeria), dining room, terrace (15 m2,), floor (parquet y gres), elevator, cupboards, heating (frio y calor), furniture, reinforced door, answering device, double glazing, year of construction (2002), exterior carpentry (aluminio), interior carpentry (roble), air-conditioned (frio y calor), exterior, sunny, balcony, State certification: Available, Power Consumption (G) , Emissions (F) , FINQUESBESORA.COM TELEF. 6.0.0.3.3.6.6.3.2.. 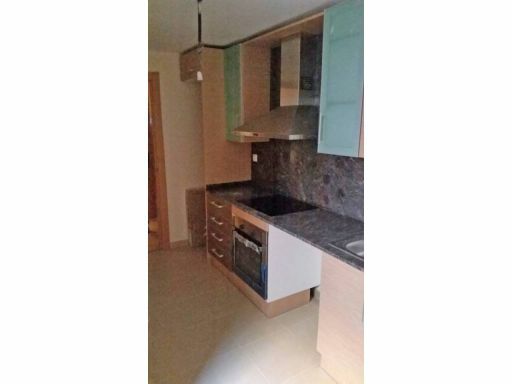 Surface 185 m², useful 185 m², 4 bedrooms ( 1 suite, 3 doubles), 3 bathrooms, kitchen (con barbacoa), washroom (galeria), dining room, floor (parket), garage (i ... 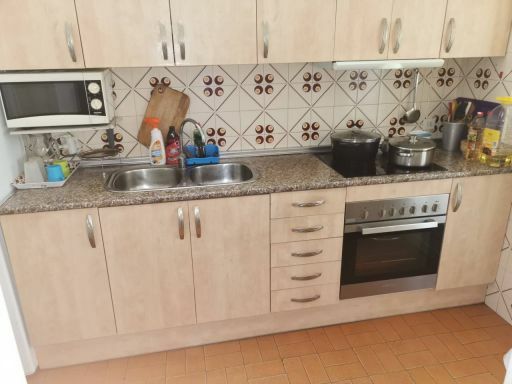 Surface 185 m², useful 185 m², 4 bedrooms ( 1 suite, 3 doubles), 3 bathrooms, kitchen (con barbacoa), washroom (galeria), dining room, floor (parket), garage (incluido), elevator, cupboards, heating (central), answering device, double glazing, year of construction (1970), exterior carpentry (al.lumini), interior carpentry (lacat en blanc), air-conditioned, exterior, sunny, balcony, State certification: Underway, FINQUESBESORA.COM TEL.6.0.0.3.3.6.6.3.2.. 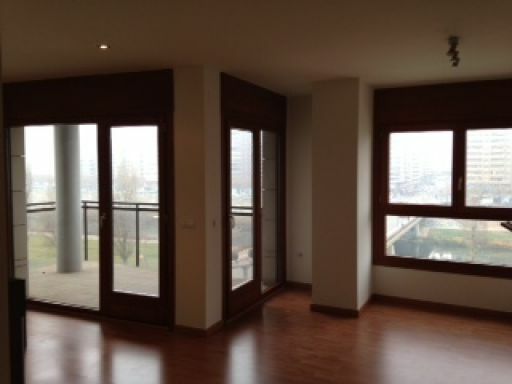 Surface 112 m², 3 bedrooms ( 1 suite, 2 doubles), 2 bathrooms, kitchen, dining room, floor (grees), elevator, heating (indi.gas. ), reinforced door, answering dev ... 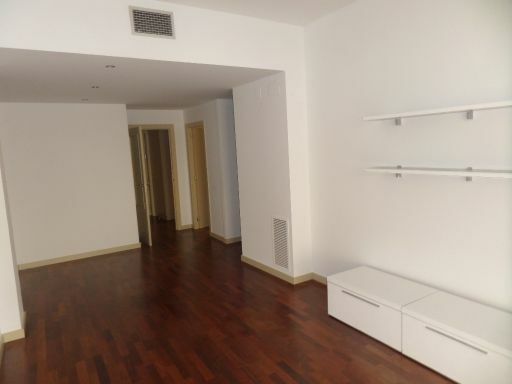 Surface 112 m², 3 bedrooms ( 1 suite, 2 doubles), 2 bathrooms, kitchen, dining room, floor (grees), elevator, heating (indi.gas. ), reinforced door, answering device, double glazing, year of construction (1967), exterior carpentry (Alumilnio), interior carpentry (sapeli), exterior, sunny, balcony, State certification: Underway, FINQUESBESORA.COM TEL. 6.0.0.3.3.6.6.3.2. 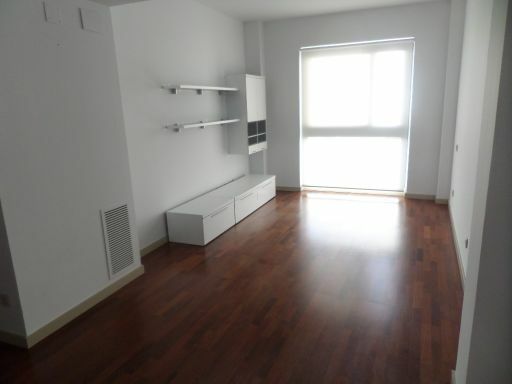 Surface 105 m², useful 105 m², 3 bedrooms (3 doubles), 1 bathroom, 1 toilet, kitchen (Office, grande), dining room, floor (parquet), elevator, heating (Ind.gas) ... Surface 105 m², useful 105 m², 3 bedrooms (3 doubles), 1 bathroom, 1 toilet, kitchen (Office, grande), dining room, floor (parquet), elevator, heating (Ind.gas), reinforced door, answering device, double glazing, year of construction (1975), exterior carpentry (Aluminio), interior carpentry (roure), air-conditioned, exterior, sunny, balcony, State certification: Available, Emissions (G) , Parking Opcional 8.000.-€ en otro edificio. FINQUESBESORA.COM, TEL. 600336632. 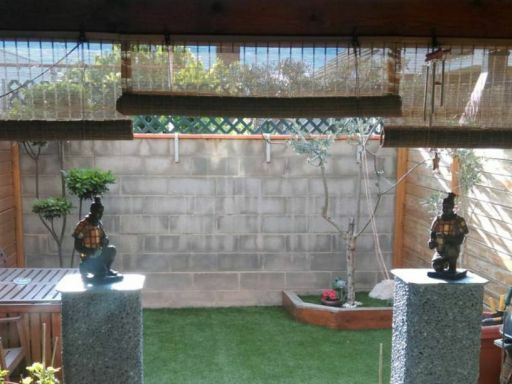 Surface 140 m², useful 140 m², 4 bedrooms ( 1 suite, 3 doubles), 2 bathrooms, kitchen, washroom (galeria cerrada), dining room (35 m2), storage room, floor (ter ... 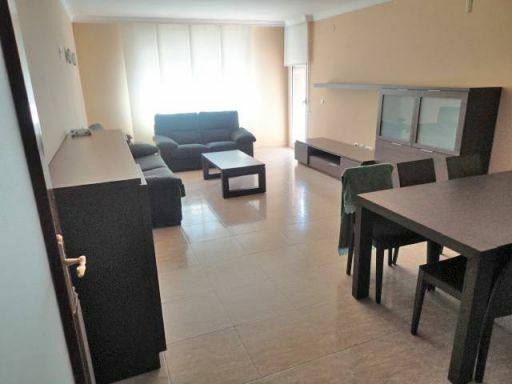 Surface 140 m², useful 140 m², 4 bedrooms ( 1 suite, 3 doubles), 2 bathrooms, kitchen, washroom (galeria cerrada), dining room (35 m2), storage room, floor (terrazos), elevator, heating (central), reinforced door, answering device, double glazing, year of construction (1994), exterior carpentry (aluminio), interior carpentry (sapeli), air-conditioned, exterior, sunny, balcony, State certification: In progress, FINQUESBESORA.COM , TEL. 6.0.0.3.3.6.6.3.2. 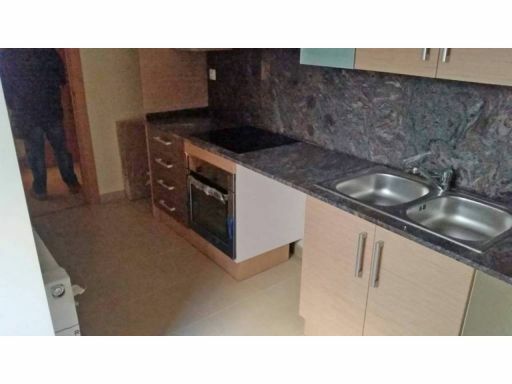 Surface 60 m², useful 60 m², 2 bedrooms (2 doubles), 1 bathroom, kitchen (independiente), dining room, floor (parquet), garage (exterior incluido en el precio), ... 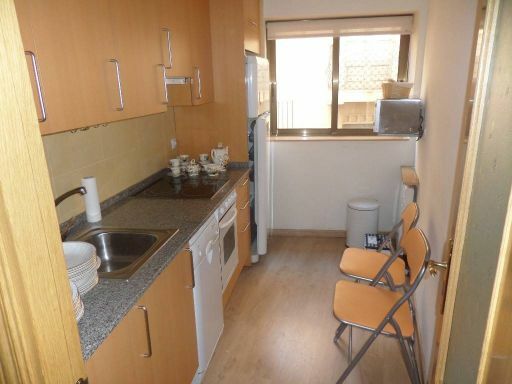 Surface 60 m², useful 60 m², 2 bedrooms (2 doubles), 1 bathroom, kitchen (independiente), dining room, floor (parquet), garage (exterior incluido en el precio), cupboards, heating (electrica), furniture, reinforced door, answering device, double glazing, year of construction (2003), air-conditioned, exterior (aluminio), sunny, balcony, State certification: Underway, FINQUESBESORA COM, 6.0.0.3.3.6.6.3.2 CERTIFICACION ENERGETICA: EN TRAMITE. 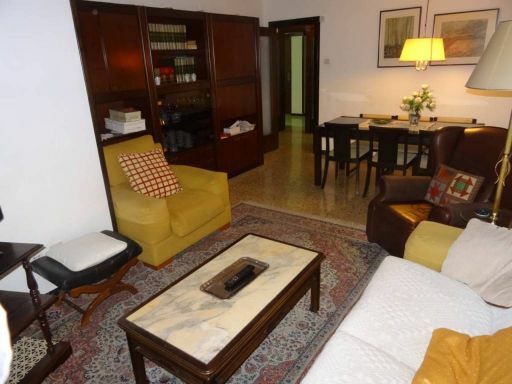 Surface 60 m², 2 bedrooms (2 doubles), 1 bathroom, kitchen (americana), terrace, floor (parquet), elevator, heating (Ind. Electrica), reinforced door, answering d ... 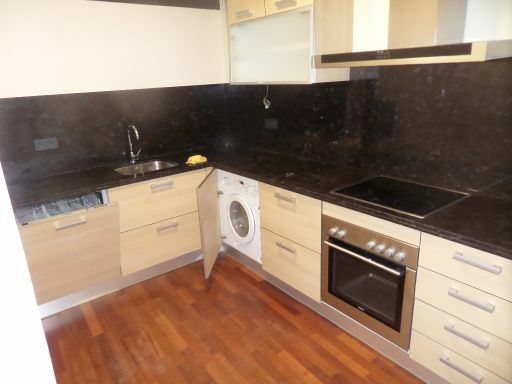 Surface 60 m², 2 bedrooms (2 doubles), 1 bathroom, kitchen (americana), terrace, floor (parquet), elevator, heating (Ind. Electrica), reinforced door, answering device, double glazing, year of construction (2002), community charges, exterior carpentry (aluminio), interior carpentry (roure), air-conditioned, exterior, sunny, State certification: Available, Power Consumption (F) , Emissions (F) , FINQUESBESORA COM, TEL 6.0.0.3.3.6.6.3.2.. 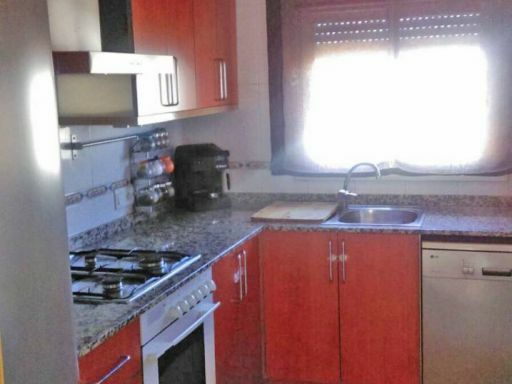 Surface 57 m², 2 bedrooms (2 doubles), 1 bathroom, kitchen (Americana), dining room, storage room (incluido en el precio), floor (parquet), garage (y trastero inc ... Surface 57 m², 2 bedrooms (2 doubles), 1 bathroom, kitchen (Americana), dining room, storage room (incluido en el precio), floor (parquet), garage (y trastero incluido en el precio), elevator, heating (ind.gas), reinforced door, answering device, double glazing, year of construction (2010), exterior carpentry (aluminio), interior carpentry (faig), exterior, sunny, balcony, State certification: Available, Emissions (G) , FINQUESBESORA.COM, TEL. 6.0.0.3.3.6.6.3.2.. 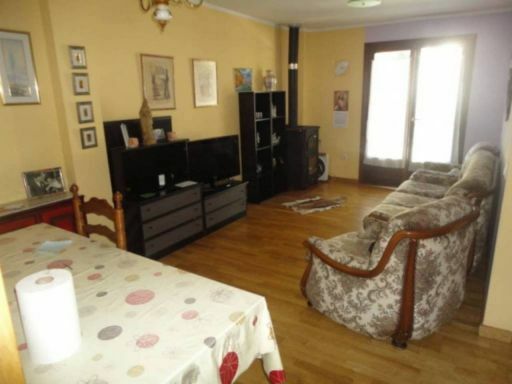 Surface 120 m², 4 bedrooms ( 1 suite, 3 doubles), 2 bathrooms, kitchen, washroom (galeria), dining room (30 m2), storage room (incluido en el precio), floor (Par ... 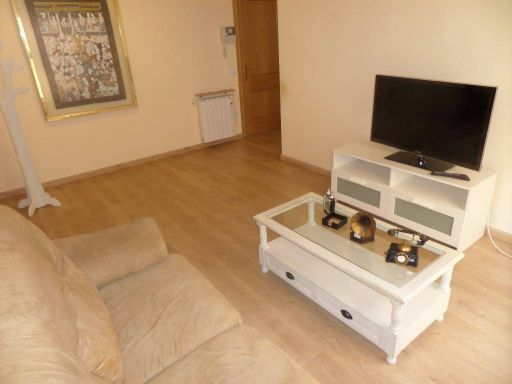 Surface 120 m², 4 bedrooms ( 1 suite, 3 doubles), 2 bathrooms, kitchen, washroom (galeria), dining room (30 m2), storage room (incluido en el precio), floor (Parquet), garage (incluido en el precio), elevator, heating (ind.gas), reinforced door, answering device, double glazing, year of construction (2005), exterior carpentry (aluminio), interior carpentry (roure), air-conditioned, exterior, sunny, balcony, State certification: Underway, lavadora, nevera combi, microondas, FINQUESBESORA.COM TEL 600336632. 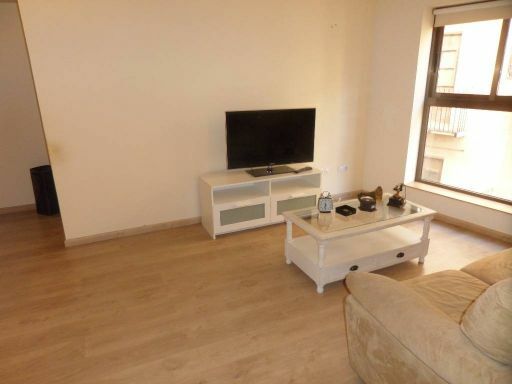 Surface 120 m², useful 120 m², 4 bedrooms ( 1 suite, 3 doubles), 2 bathrooms, kitchen, dining room, floor (parquet), garage (2 plazas parkin incluidas), elevato ... 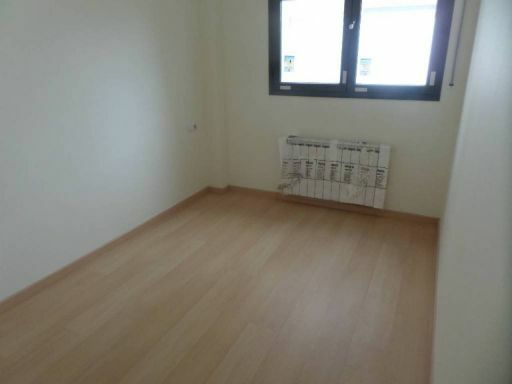 Surface 120 m², useful 120 m², 4 bedrooms ( 1 suite, 3 doubles), 2 bathrooms, kitchen, dining room, floor (parquet), garage (2 plazas parkin incluidas), elevator, heating (ind.gas), reinforced door, answering device (Videoportero), double glazing, year of construction (2010), community charges (Incluidos, se Paga, luz, gas, agua y basuras), exterior carpentry (aluminio), interior carpentry (roure), air-conditioned (frio y calor), exterior (Vistas al rio), sunny, balcony, State certification: Available, Power Consumption (F) , Emissions (E) , FINQUESBESORA COM T. 6.0.0.3.3.6.6.3.2. 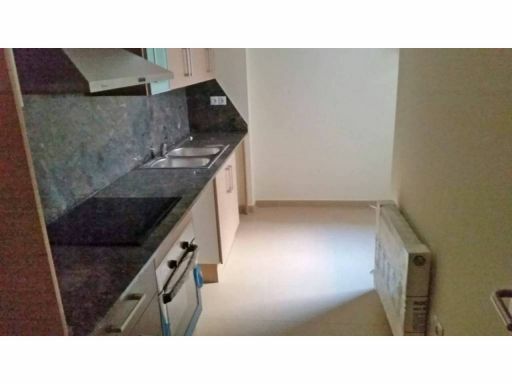 Surface 350 m², useful 350 m², 700 m² site surface, 5 bedrooms ( 1 suite, 4 double), 3 bathrooms, lighting, asphalted, Build-up, kitchen (amplia), washroom, di ... 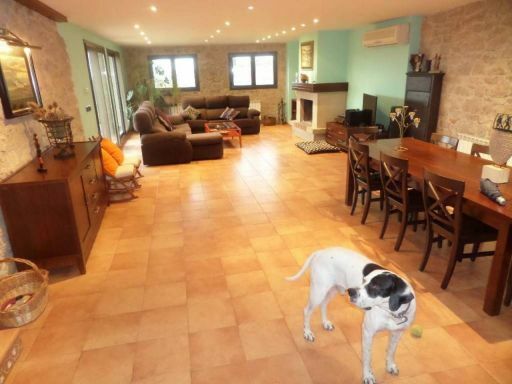 Surface 350 m², useful 350 m², 700 m² site surface, 5 bedrooms ( 1 suite, 4 double), 3 bathrooms, lighting, asphalted, Build-up, kitchen (amplia), washroom, dining room (40 m2 con chimenea), terrace (25 m2), floor grees y parquet, garden (con barbacoa y piscina), garage (3), cupboards, heating, reinforced door, double glazing, year of construction 1998, community charges 160.-€, water, electricity, fireplace, exterior carpentry (madera), interior carpentry (roure), air-conditioned (buardilla y comedor), sunny, swimming pool (y jardin con barbacoa), State certification: Available, Emissions (G) , PARCELA 800 m2., FINQUESBESORA.COM TEL 600336632. 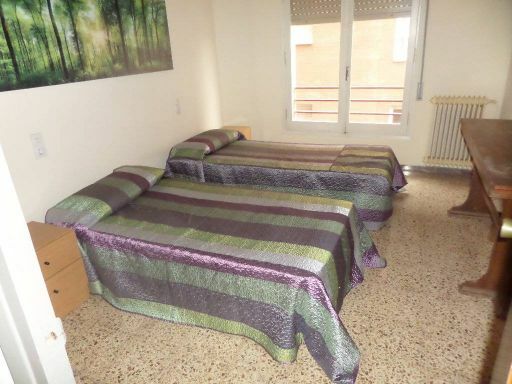 Surface 110 m², useful 110 m², 2 toilets, type of business, attic, partitions, elevator, heating (Ind.gas), water (deposito agua 1.000 litros), gas, air-condition ... 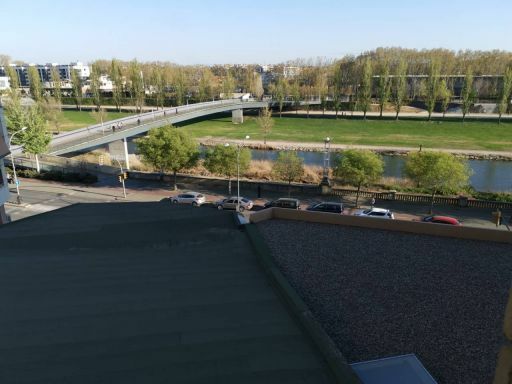 Surface 110 m², useful 110 m², 2 toilets, type of business, attic, partitions, elevator, heating (Ind.gas), water (deposito agua 1.000 litros), gas, air-conditioned, exterior, State certification: Available, Power Consumption (F) , Emissions (F) , 6 Cabinas de masaje, 2 de ellas con Yakussis granes, 2 cabinas para estetica,1 cabina para ducha a presion, 1 de relax, 1 Sauna para 3 personas, 1 Sala de espera, 1 despacho oficina, 1 Recepcion, baño principal y 1 aseo. FINQUESBESORA COM, TEL. 600336632. 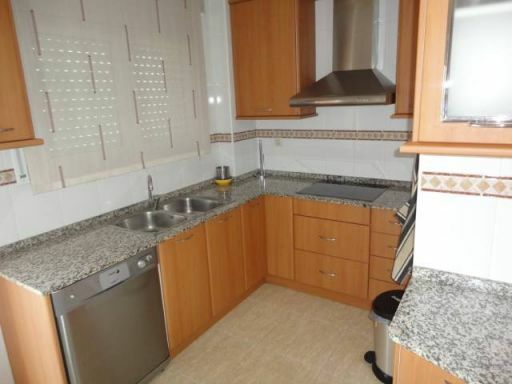 Surface 89 m², useful 89 m², 3 bedrooms (3 doubles), 2 bathrooms, kitchen (independiente), dining room, floor, garage (incluido el el precio), elevator, heating ... 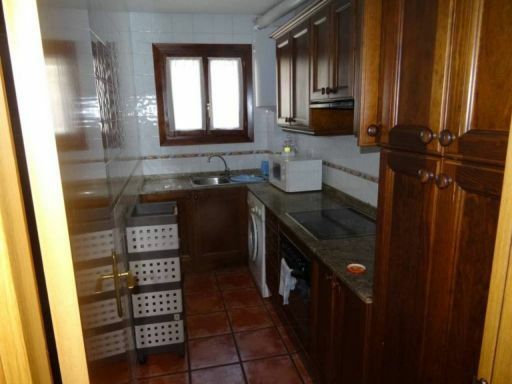 Surface 89 m², useful 89 m², 3 bedrooms (3 doubles), 2 bathrooms, kitchen (independiente), dining room, floor, garage (incluido el el precio), elevator, heating (ind. por conductos, frio y calor), reinforced door, answering device (videoportero), double glazing, year of construction (2009), community charges (incluida, solo se paga suministros y basuras), exterior carpentry (aluminio), interior carpentry (Lacada blanco), air-conditioned (frio y calro), exterior, sunny, State certification: Available, Power Consumption (F) , Emissions (F) , FINQUESBESORA.COM TEL. 6.0.0.3.3.6.6.3.2. 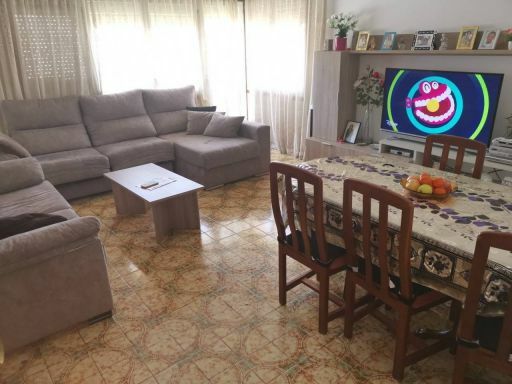 Surface 97 m², useful 97 m², 3 bedrooms (3 doubles), 2 bathrooms, kitchen (independiente), dining room, terrace (15 m2), storage room, floor (grees), garage (de ... 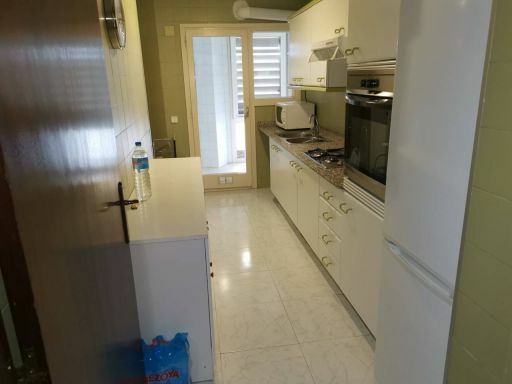 Surface 97 m², useful 97 m², 3 bedrooms (3 doubles), 2 bathrooms, kitchen (independiente), dining room, terrace (15 m2), storage room, floor (grees), garage (de coche y de moto), elevator, heating (Ind.gas), answering device, year of construction (1965), exterior carpentry (Madera doble cristal), interior carpentry (sapeli), exterior, sunny, balcony, State certification: Available, Power Consumption (F) , Emissions (F) , FINQUESBESORA.COM TEL. 6.0.0.3.3.6.3.2. Surface 311 m², useful 311 m², 4 bedrooms (4 double), 2 bathrooms, 1 toilet, kitchen, washroom, dining room, terrace (40 m2, Salida desde el comedor), floor par ... 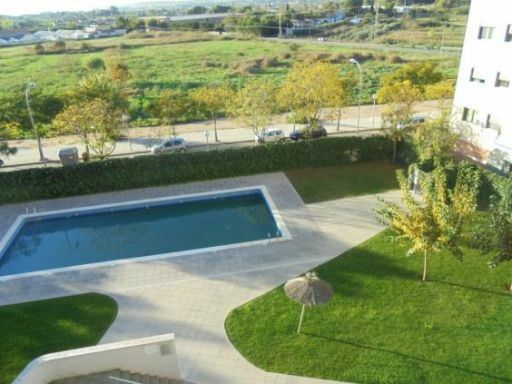 Surface 311 m², useful 311 m², 4 bedrooms (4 double), 2 bathrooms, 1 toilet, kitchen, washroom, dining room, terrace (40 m2, Salida desde el comedor), floor parquet, garden (comunitario con piscina), garage (2 coches), cupboards, heating, reinforced door, double glazing, year of construction 2006, exterior carpentry (aluminio), interior carpentry (roure), air-conditioned, sunny, swimming pool, State certification: Available, Power Consumption (E) , Emissions (E) , 4 hab. 1 buardilla con balcon grande, 1 Sala grande en el sotano, , en la casa hay hueco para poner ascensor, FINQUESBESORA.COM TEL. 6.0.0.3.3.6.6.3.2. Surface 65 m², useful 65 m², 2 bedrooms (1 double, 1 single), 1 bathroom, kitchen, dining room, floor (parquet), elevator, heating (ind. Electrica Radiadores Ba ... Surface 65 m², useful 65 m², 2 bedrooms (1 double, 1 single), 1 bathroom, kitchen, dining room, floor (parquet), elevator, heating (ind. Electrica Radiadores Bajo Consumo), furniture, reinforced door, answering device, double glazing, year of construction (2004), exterior carpentry (aluminio), interior carpentry (roure), air-conditioned, exterior, sunny, State certification: Available, Power Consumption (F) , Emissions (F) , FINQUESBESORA.COM TEL. 6.0.0.3.3.6.3.2. 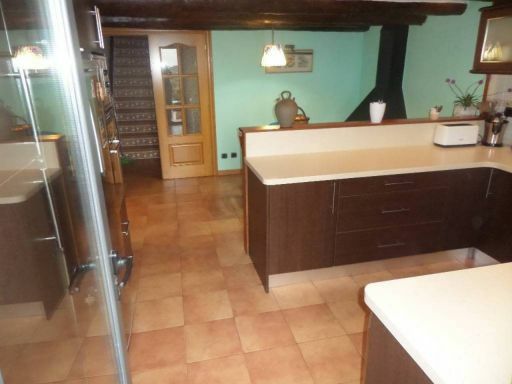 Surface 81 m², useful 81 m², 3 bedrooms ( 1 suite, 1 double, 1 single), 2 bathrooms, kitchen, washroom, dining room, storage room, floor (parquet), garage (y t ... 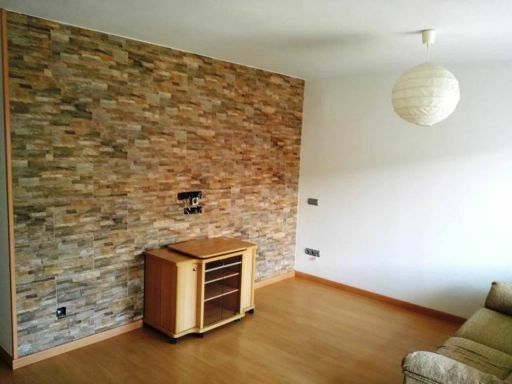 Surface 81 m², useful 81 m², 3 bedrooms ( 1 suite, 1 double, 1 single), 2 bathrooms, kitchen, washroom, dining room, storage room, floor (parquet), garage (y traster inclos), elevator, cupboards (2 Empotrados), heating (ind.gas), answering device, double glazing, year of construction (2007), exterior carpentry (aluminio), interior carpentry (Faig), air-conditioned, exterior, sunny, balcony, State certification: Available, Power Consumption (E) 155 Kw h / m²a, Emissions (D) 32 Kg CO2 / m²a, FINQUESBESORA.COM TEL. 6.0.0.3.3.6.6.3.2. 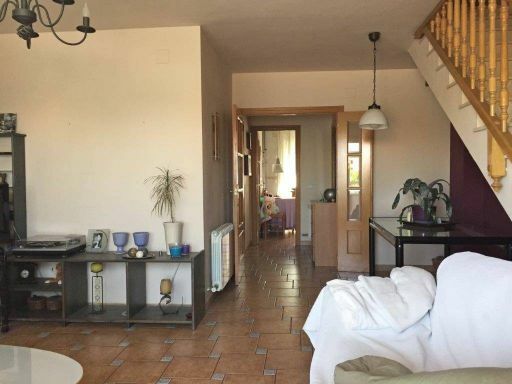 Surface 250 m², useful 160 m², 4 bedrooms ( 1 suite, 3 doubles), 2 bathrooms, 1 toilet, kitchen (grande), washroom, dining room (45 m2), terrace (120 m2), floo ... 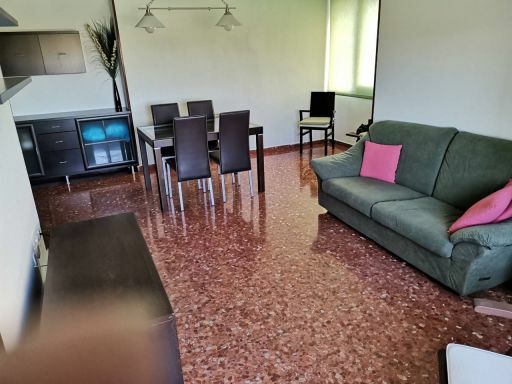 Surface 250 m², useful 160 m², 4 bedrooms ( 1 suite, 3 doubles), 2 bathrooms, 1 toilet, kitchen (grande), washroom, dining room (45 m2), terrace (120 m2), floor (parquet), garage (2 plazas incluidas), elevator, cupboards (empotrados), heating (Ind.gas), answering device, year of construction (1984), exterior carpentry (madera), interior carpentry (Lacadas en Blanca), air-conditioned, exterior, sunny, State certification: Available, Power Consumption (F) , Emissions (F) , FINQUESBESORA.COM TEL. 6.0.0.3.3.6.6.3.2.